Android, iPhone, Windows or others Smartphone, Tablet me Wi-Fi connection ki problem hona bahut hi common hai. Wi-Fi not working ki problems hone ke kai reason ho sakte hai. Phone me wi-fi ki problem ko solve karna bahut hi aasan hai. Acchi Khabar yah hai ki aaj ke lesson me aapko kisi bhi smartphone me wi-fi connection problem ko fix karke solve karna sikhaya jayega. Aaiye jante hai – Wi-Fi connection ki problem ko kaise solve kare. 1. Phone me Wi-Fi Connection Enable or Active karke dekhe ki work kar raha hai ya nahi. Yah sure kare ki Wireless Internet connection correct connecting huya hai ya nahi. Sure kare ki Password correct type kiya hai ya nahi. 2. Agar Smartphone me wi-fi enable nahi kr pate hai to phone me wireless internet connection connecting nahi hoga. Wifi enabled work nahi krta hai to phone ko open kare or phone pcb par WiFi controller IC ko heat, raball or change kare. 3. Agar phone me Wi-Fi connection enable hota hai to mobile pcb par lagi IC me koi problem nahi hoti hai. Phone or Smartphone me latest version Oparating System (OS) flashing karke upgrade kare or wifi problem ko solve kare. 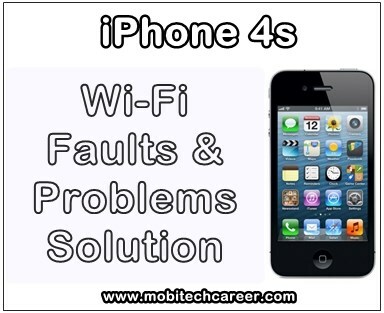 Notes: Apple iPhone 4s me wi-fi not working ka ek main reason yah hai ki Internet Service Provider se connect nahi ho pana, Bahut baar smartphone me wifi enable karne ke bad bhi koi website open nahi hoti hai. 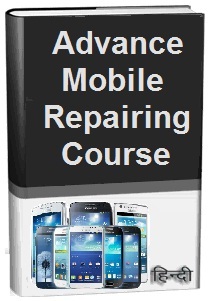 Tags: mobile, cell phone, android, iphone repair near me, smartphone, repair, how to fix, solve, repair, Apple iPhone 4s, wifi, wireless internet connection, not open, not connection, faults, problems, solution, kaise kare hindi me, tips, guide, in hindi.